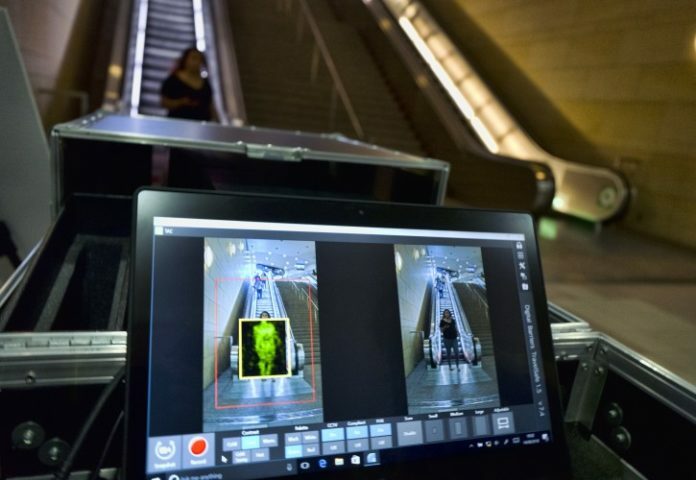 Los Angeles’ subway will become the first mass transit system in the U.S. to install body scanners that screen passengers for weapons and explosives, officials said Tuesday. The deployment of the portable scanners, which project waves to do full-body screenings of passengers walking through a station without slowing them down, will happen in the coming months, said Alex Wiggins, who runs the Los Angeles County Metropolitan Transportation Authority’s law enforcement division. The machines scan for metallic and non-metallic objects on a person’s body, can detect suspicious items from 30 feet (9 meters) away and have the capability of scanning more than 2,000 passengers per hour. ThruVision suicide vest-detection technology that reveals a suspicious objects on people is seen during a Transportation Security Administration demonstration at Union Station in Los Angeles on Tuesday, Aug. 14, 2018. Los Angeles is poised to have the first mass transit system in the U.S. with body scanners that screen passengers for weapons and explosives. Wiggins would not say how many of the machines were being purchased, but said they would be rolled out in subway stations in the “coming months.” Employees and police officers first have to be trained on how to use the equipment. Signs will be posted at stations warning passengers they are subject to body scanner screening. The screening process is voluntary, Wiggins said, but customers who choose not be screened won’t be able to ride on the subway. 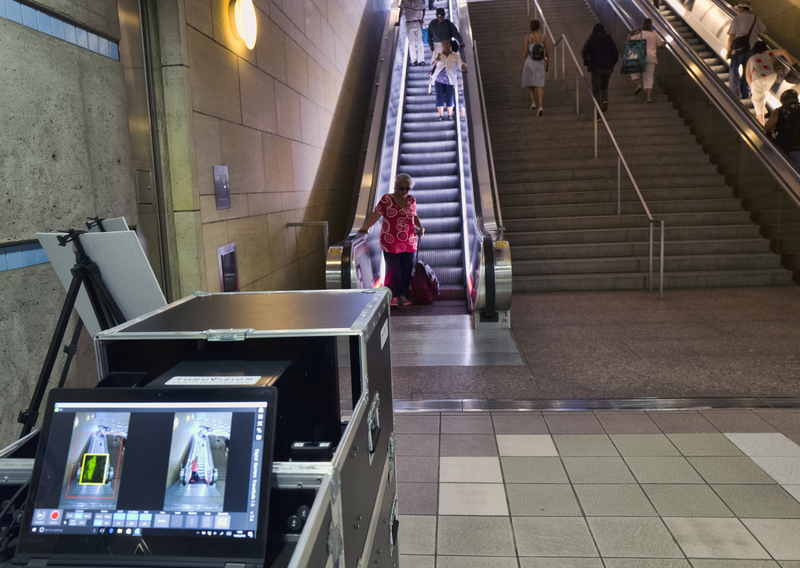 The TSA tested body scanners in New York’s Penn Station in February and has also conducted tests at Union Station in Washington, D.C., and at a New Jersey Transit station during the 2014 Super Bowl. About 150,000 passengers ride on Metro’s Red Line daily and the subway system counted more than 112 million rides last year, officials said.